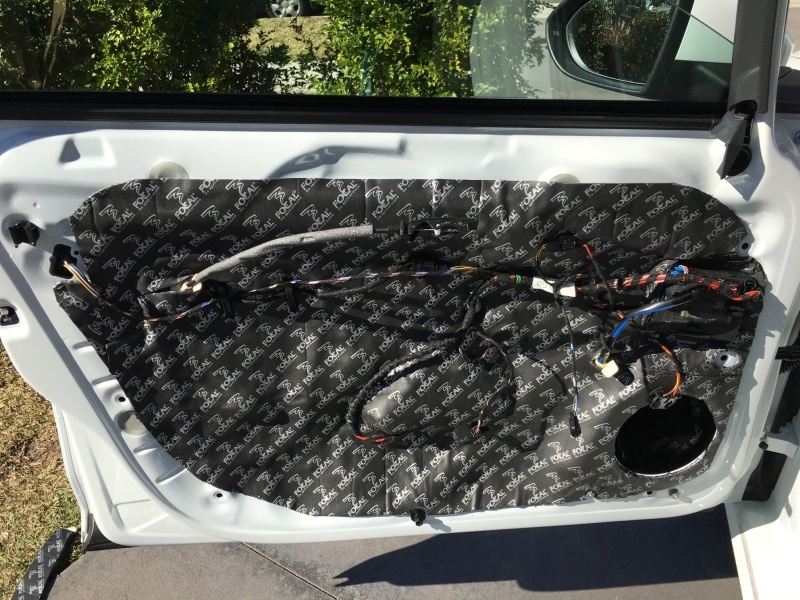 Thread: How to install component speakers into a MkVII Golf. 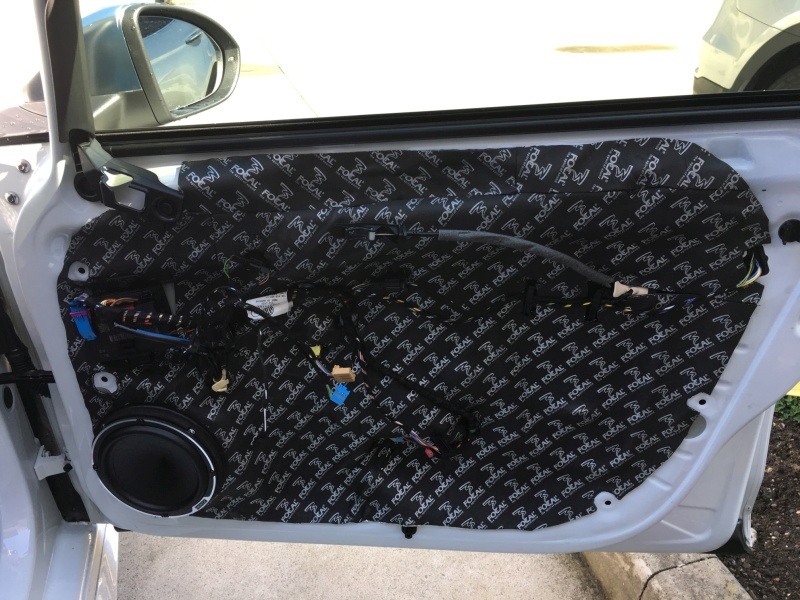 On the back of posting both the MkV Golf and MkVI Golf door tutorials here I’ve fielded quite a few emails from members requesting we do one regarding how to install speakers into the MkVII Golf. 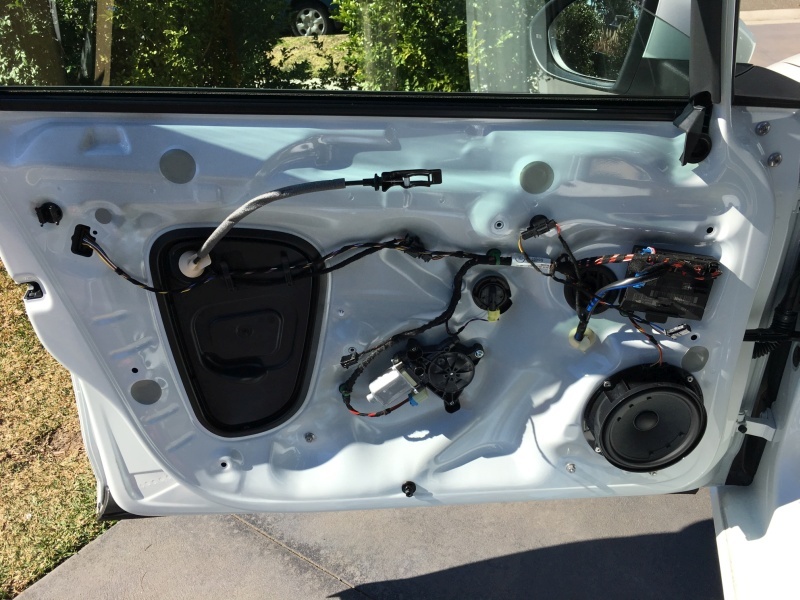 So without further ado; this is how to install drivers into MkVII Golf doors. Step one: Take one original door complete from factory. Give them a nice clean and remove any debris and dust. Step two: Apply sound deadening to the entire outer skin. Step three: Add diffuser panels behind the speaker to combat wave reflections. Now it’s important to note that this is only necessary if you’re using deadening with an alloy skin. 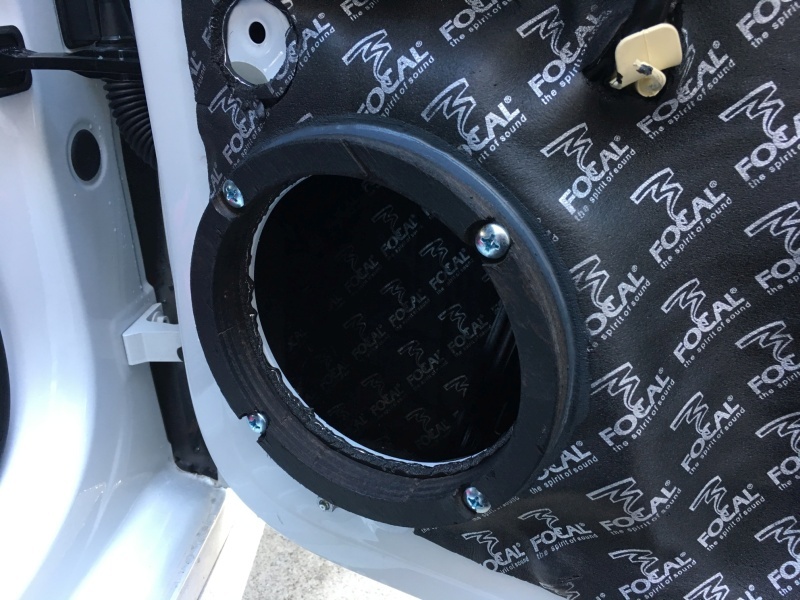 Products like Focal BAM already have a foam layer installed so it’s acts as a diffuser. Step four: Run your aftermarket speaker cables through the loom tubes into the doors if need be. This ensures you have adequately sized cables for higher current flow as the factory speaker cables are not overly large. Bear in mind though the OEM cables will be perfect for 99% of installations. 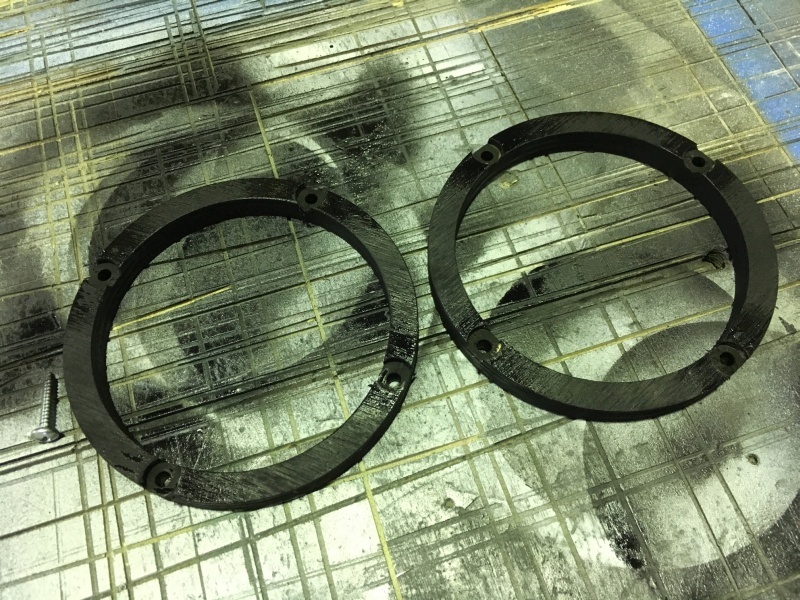 Step five: Make the baffles in a similar shape to the factory drivers. 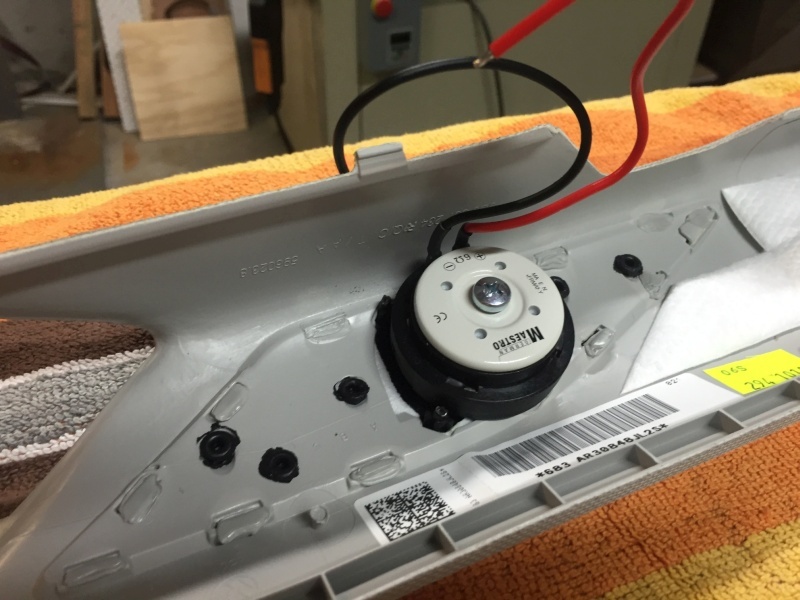 These must locate through the factory holes to avoid damaging the door, thus meaning when you sell the car the factory speakers can go right back in. Our baffles are usually constructed from timber but we've made them from Perspex or even 6061 alloy depending on application. If they’re timber then they should be painted with polyester resin and black paint to avoid absorbing water and being seen through the factory grille. Step six: Sound deaden inner skin and remove all air bubbles. 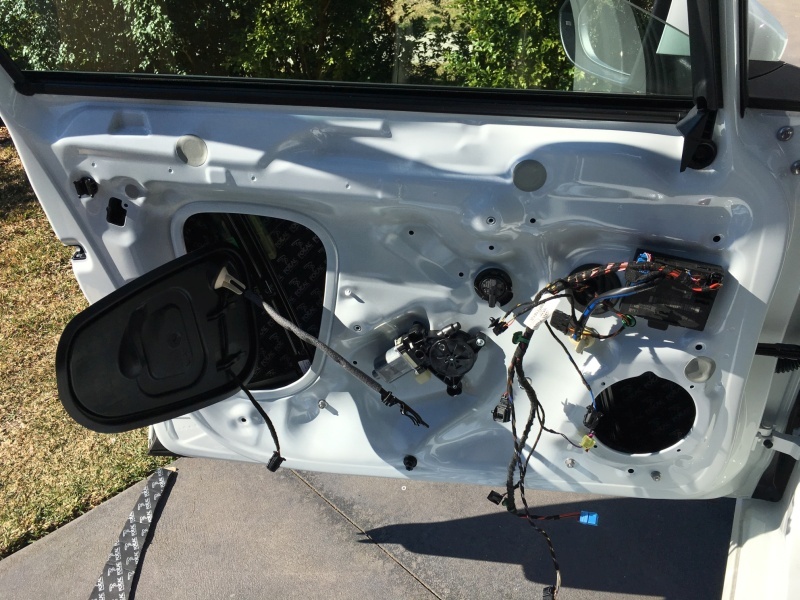 Make sure you leave enough clearance for door handle and lock control rods to move freely. 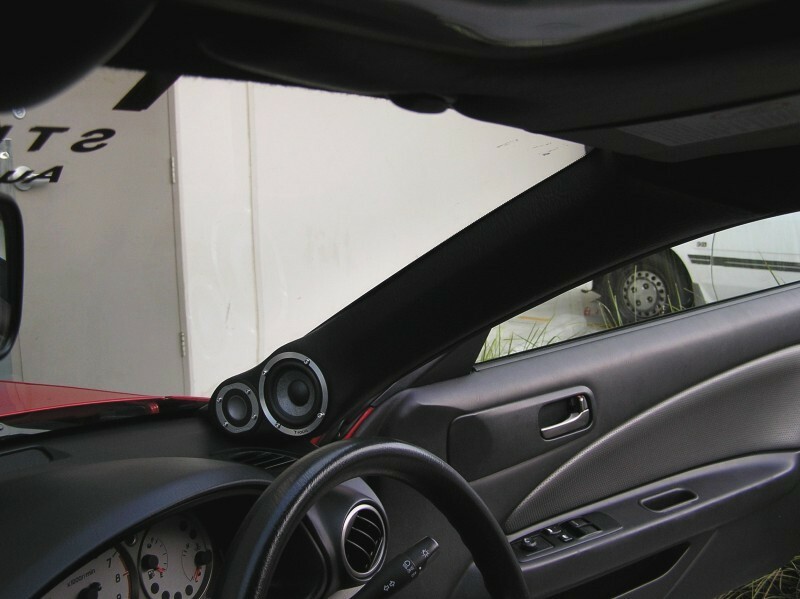 Also leave a little deadening around the top of the speaker hole to act as a 'roof' against water when it rains. Step seven: Screw the baffle onto the door and seal the baffle onto the deadening with gap filler. 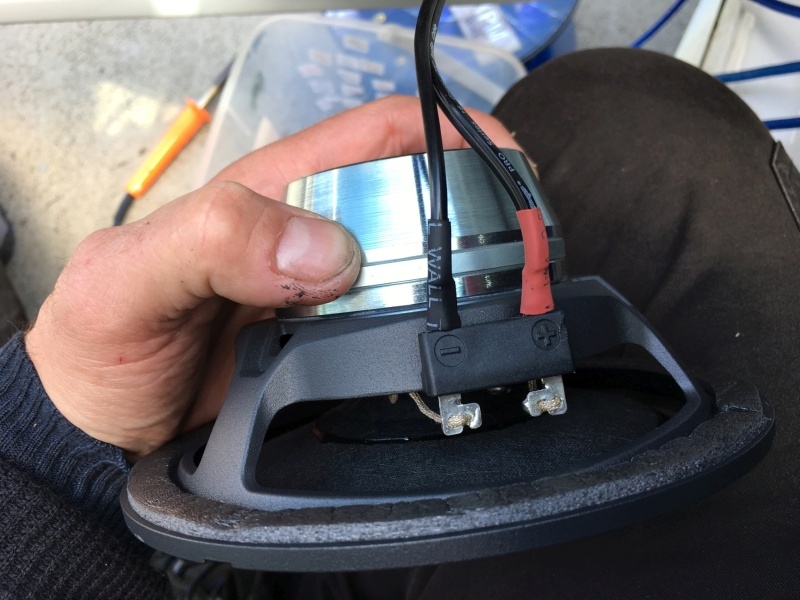 Make sure you also install a gasket between the speaker and the spacers because air leaks out here too (ever tried to run your car without a head gasket)? 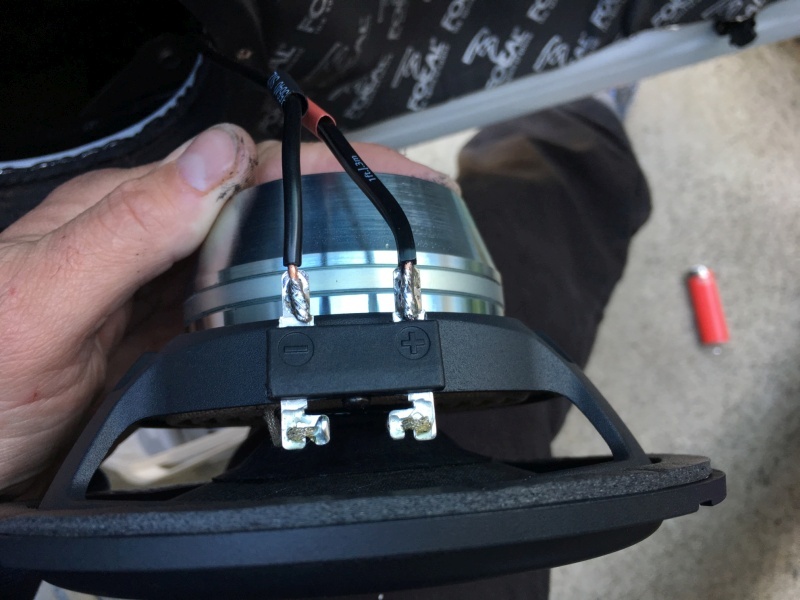 Step eight: Solder the trimmed speaker wires onto speaker. Don't use crimp terminals because their two best traits are falling off and creating resistance. Step nine: Heat shrink around the terminals to protect them. Unlike electrical tape, heat shrink will not fall off after a couple of months. 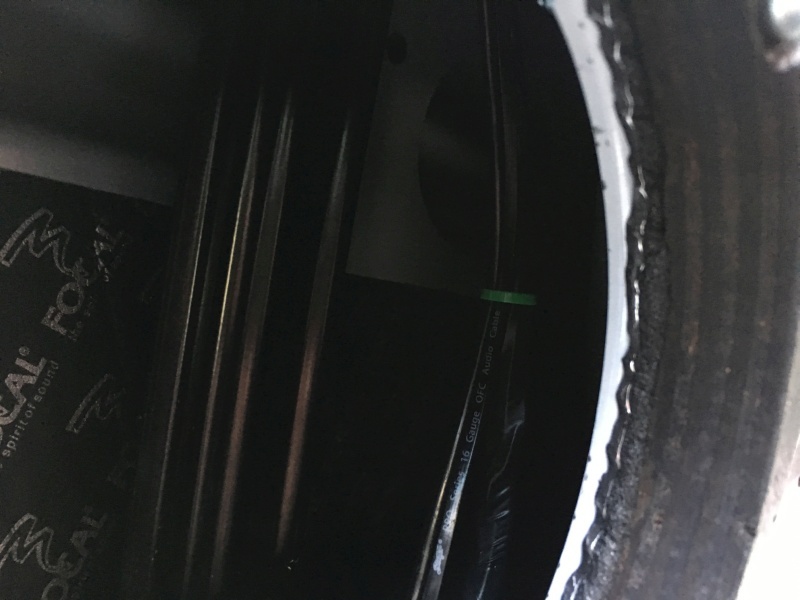 Step ten: When it comes to the smaller driver; we tend to lock them into the OEM location tabs then place foam padding over the back to prevent rattles against the metal of the pillar beneath the trim. So there you go folks; that’s how you do a component set installation on the Golf MkVII. Using this method you have about 80mm of mounting depth in the doors. 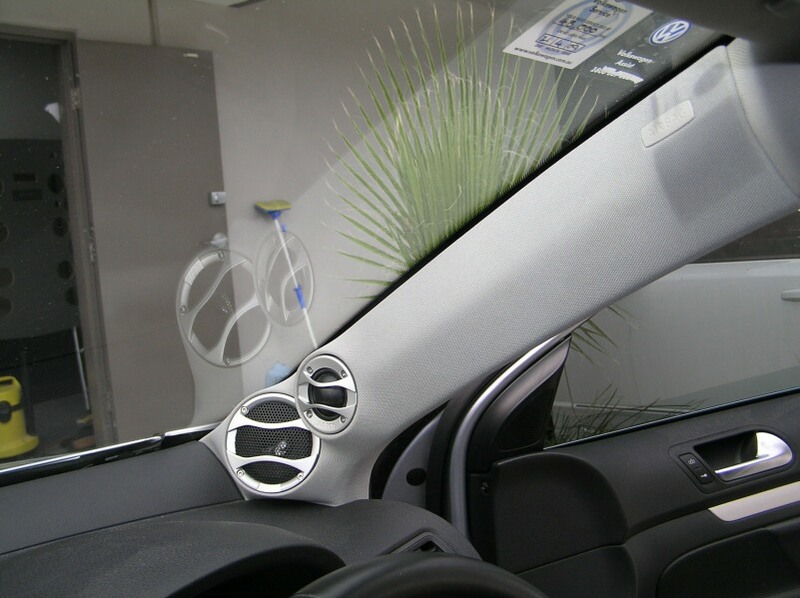 Any deeper than that you’ll find the speaker surround will impact on the door trim and the magnet may foul on the window and its associated mechanisms. If you’re a serious sound quality enthusiast though, and are looking for the ultimate staging and imaging; then you might still want to consider making a set of custom a-pillars to mount your tweeters and midranges on. 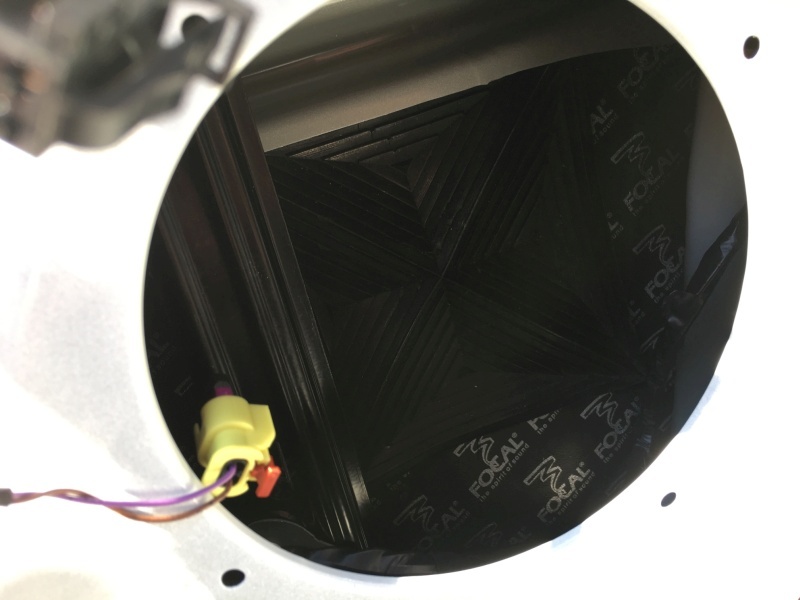 Because whilst the factory location is more than adequate, especially if you’re running a processor; you will discover that firing directly through OEM grilles and across the dash can sometimes pose slight sound azimuth and dispersion issues. 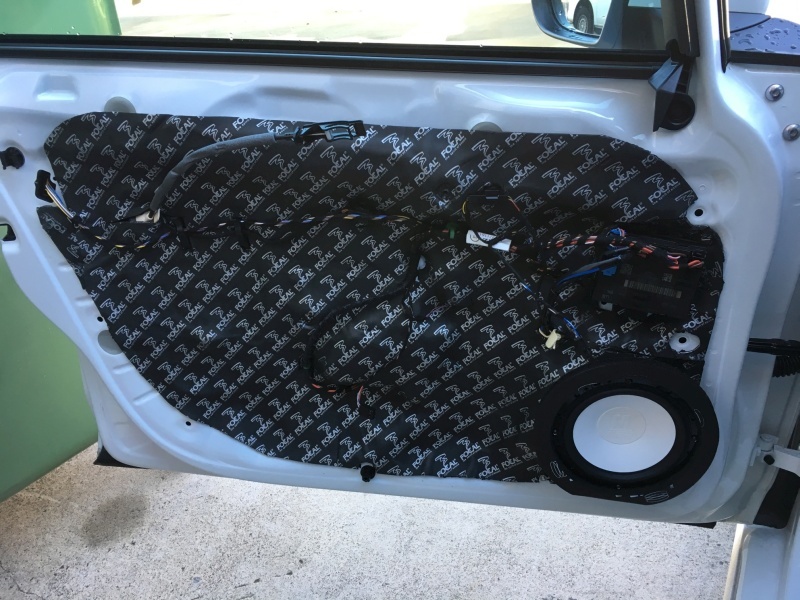 If you wish to read more about what sound deadening, diffuser panels and sealing does click here. If you wish to find out more about staging, imaging and how our ears relate to them both click here and click here. I hope that helps you guys out. Last edited by Fhrx; 16-09-2018 at 03:44 PM. FHRX STUDIO'S - Multimedia Specialists.